The director and co-writers for Warner Bros.’ adaptation of Minecraft have left the project, Variety reports. Director Shawn Levy and writers Kieran Mulroney and Michele Mulroney reportedly exited the project because their ideas “didn’t mesh” with those of the Minecraft video game developers. Minecraft is based on the wildly successful video game of the same name, which has won multiple awards and sold nearly 54 million copies across all platforms — making it one of the bestselling games in history. The game takes place in an open world that has no specific goals. Rather, it’s up to the player to decide how best to play the game, which revolves around breaking down and placing blocks to build different structures and shape the world as they see fit. During the course of the game, players will also encounter non-player characters including non-hostile animals and hostile monsters. 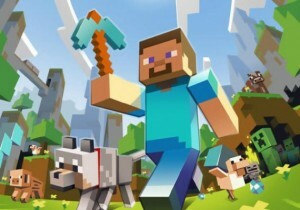 Warner Bros. acquired the rights to Minecraft in February. According to Variety, the property is still very important to the studio, which hopes to bring on a new director by the beginning of 2015.